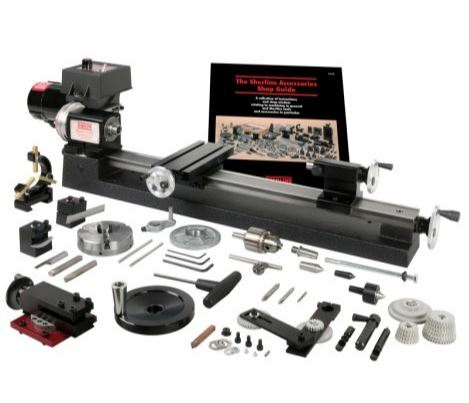 This Sherline lathe has 17″ between centers. 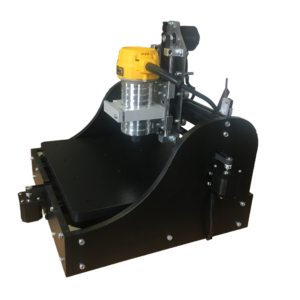 The electronic speed control allows continuously variable speed control from 70 to 2800 RPM without belt changes. 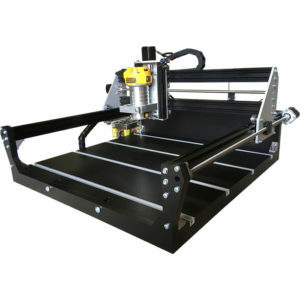 There is a second pulley position available that offers extra torque at low RPM if needed. 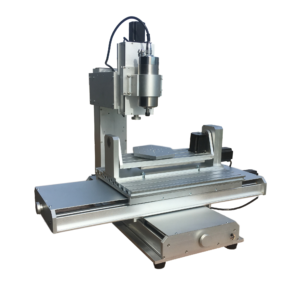 Many machinists find that the extra space between centers comes in handy when working with a part held in a chuck and a larger tailstock chuck with a long drill bit in place. The combination of chucks, part and drill can eat up a lot of the available center-to-center distance, and a little extra capacity is often appreciated. 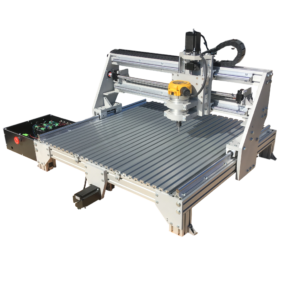 This lathe offers the same diameter turning capacities as the shorter lathe and same powerful motor/speed control. 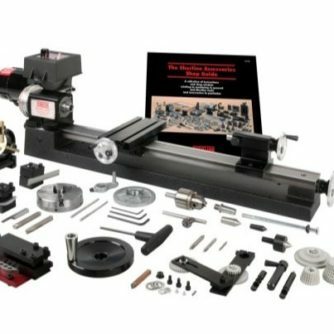 The extra 9″ of center distance over the 8″ lathe and the addition of extras like the adjustable zero handwheels and rocker tool post make this lathe a great value. 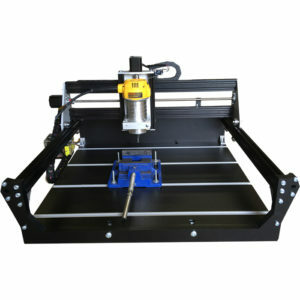 The lathe can turn a part up to 3.5” in diameter over the bed or up to 1.88” over the carriage without riser blocks. The lathe has 8” of space between centers. 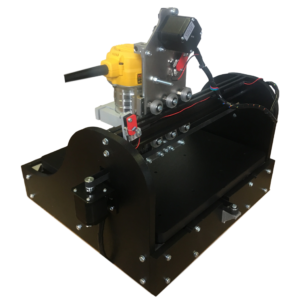 The electronic speed control allows continuously variable speed control from 70 to 2800 RPM without belt changes. There is a second pulley position available that offers extra torque at low RPM if needed. 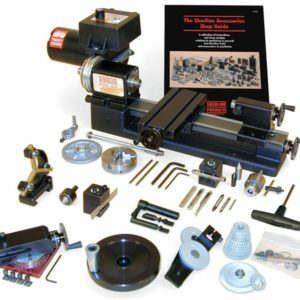 This lathe is a good choice for clockmakers, modelers, or anyone making small parts. This is a MANUAL lathe, operated by turning the hand cranks. 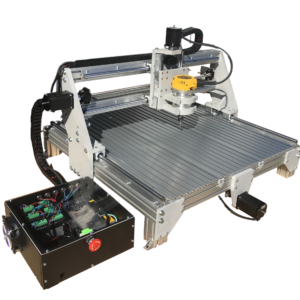 It is not CNC controlled.